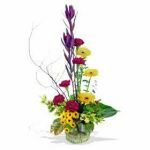 Welcome to Florabella Florist a traditional high street florist in Saltash Cornwall. Established 1990. 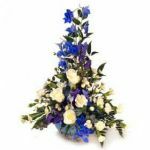 We are backed by Flowervision one of the UK's biggest flower wholesalers, ensuring your flowers are the freshest available, with their next day delivery service straight from Holland. 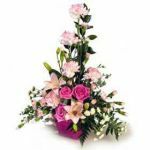 Flowers shown are for local or Uk national delivery, please select your delivery area from the drop down list. Picture shown is for standard flowers you may up grade your flowers by amounts of £10 if you wish.